Not every story of urban neighborhood revival involves grand architectural visions, elegant master-planning or even gentrification. Sometimes, a neighborhood can be improved just by diligently matching up potential homeowners with houses that otherwise would be abandoned, and developers with empty lots, says architect Michael Poris. In other words, it is the people in a neighborhood that are the most valuable commodity, not the architecture-though, as an architect and master-planner, I quickly add that the latter two items are very important to the process. My firm, McIntosh Poris Associates, was approached in 2002 by the Greater Corktown Redevelopment Corp., to help devise a plan to strengthen the roughly one-square-mile area named North Corktown, regarded as Detroit's oldest surviving neighborhood. Like so many neighborhoods in Detroit and across the Rustbelt in the 1980-90s, North Corktown was suffering from abandoned homes. In some cases, homes were so derelict that they were either unusable, or had been "torched." Sadly, many once-worthy houses had been scraped from their lots, leaving empty fields. To access and plan, we developed a map of North Corktown, depicting the neighborhood lot-by-lot, in consultation with Tim McKay, executive director, and the staff of the GCRC. We called our new map and strategy the "North Corktown Framework Plan." To be sure, the Plan included some expected elements of modern urban planning, such as a proposal to develop housing over retail on strengthened key linear commercial streets. But we did not focus on bulldozers and construction to revive North Corktown. The key to renewing this depressed neighborhood was housing-but in 2002 the homes of Detroit's oldest residential district were in serious trouble. We had chosen to fly into the teeth of a seemingly intractable problem. You don't have to be an urbanologist to determine that orphaned homes blight a neighborhood-what more powerful symbol of an area's undesirability is there than a derelict, torched house? What could be more fearful to a would-be homebuyer? With such a cancer spreading, the good, close-in neighborhood with excellent infrastructure that was North Corktown was imperiled. Many of the neighborhood's houses had reverted to state ownership, due to unpaid property taxes. Working with the GCRC, we identified and inventoried the North Corktown homes in state receivership, and arranged for title to be transferred to the GCRC. The GCRC then set out to find buyers for the usable homes, or micro developers for empty lots. A selective building program was also implemented. 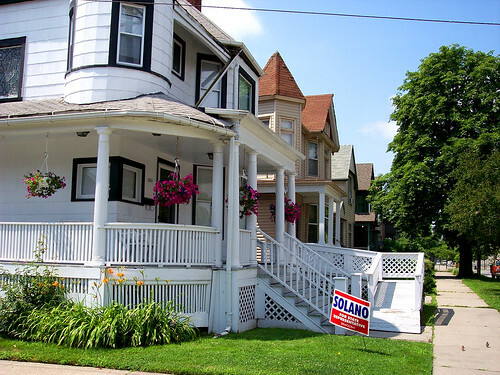 A big advantage for North Corktown is house prices - homes, even new ones, are not expensive. For example, since 2002 the GCDC arranged for the construction of 87 townhomes and 26 single-family detached homes, with sales prices often under $100,000. Smaller existing homes can be had for $50,000. Now the GCRC is marketing North Corktown Phase II, offering 1,500-square-foot single-family homes for less than $125,000, constructed by private builders. GCRC also vets buyers to ensure they are financially educated enough to understand the pros and cons of mortgages and home ownership. I am proud to say that very few, if any, of homeowners arranged through GCRC auspices have defaulted on their loans. Gimmicky financing has never been used to artificially induce homeownership. It helps that home prices are low-and are not goosed by teaser loan deals. We have had a fair measure of success in North Corktown, helping hundreds of new residents move in, lured by low-cost housing and the assurance that the GCRC planned a serious and sustained effort to save the neighborhood. As the homeowning population of North Corktown has stabilized and grown, we have been able to introduce other community strengthening activities, such as "cell-phone patrols" in which local residents walk the neighborhood. Retail activities have grown, and North Corktown pubs are locally prized for hosting a growing music scene, including such establishments as Slows Bar BQ Restaurant, Corktown Tavern, and the Lager House. Corktown is also home to Nemo's Bar & Grill, named by Sports Illustrated as the third-best sport pub in the nation. Sadly enough, the challenges of North Corktown are not unique to Detroit, or even the Rust Belt. Indeed, with the still-widening housing market meltdown, and skyrocketing gasoline prices, some predict abandoned suburban homes will soon ring every major metropolis in the United States. The experience of North Corktown suggests blight will breed blight, unless action is taken. In my experience, neighborhoods can be revived, even against ferocious economic headwinds, if there is a dedicated agency devoted to maintaining homeownership in a defined neighborhood. Success is possible, even probable, for those communities that try the Corktown way. Lower prices for homes are one powerful enticement. It may be that America's baby boom of retirees will be happy to acquire cheap, abandoned suburban housing, if they have faith a reliable agency is directing a neighborhood stabilization. Such retirees may find suburban housing not inconvenient, as they no longer have daily job commutes, but can stay within reasonable distance of urban amenities and medical institutions. So, perhaps we have a chance to turn a national housing tragedy into something positive: The nation's seniors, many on fixed budgets, can acquire affordable housing in surburban fringes, helping to stabilize neighborhoods. As they say, if you get a lemon, then make lemonade. Michael Poris, AIA, is a principal of McIntosh Poris Associates. A Detroit native, he earned his Bachelor of Science in Architecture from the University of Michigan and his Masters in Architecture from the Southern California Institute of Architecture (SCI-Arc) in Los Angeles. He is a registered architect in Michigan and California. He has been commissioned to draft master plans for Downtown Detroit, North Corktown, and the Michigan Central Depot area, among many other assignments.